I’ve been looking for a way to make time capsules with my Guides. I had trouble wrapping my mind around this one. If we made one and opened it years later it wouldn’t really be very interesting for the girls who were then part of the unit. So I wanted to make it personal. Something the girls could take home and keep until it made sense to open them. I came across this file for a similar project for Cub Scouts. So I made up a written time capsule for my Guides. Each girl was given an envelope to decorate. We asked each girl to pick a date in the future she thought would be meaningful to open their envelope on. 25 of November – 10 of December are the 16 Days of Activism against gender-based violence. This year WAGGGS is collecting images of where girls feel unsafe for use in their advocacy work. To this end they have created an instant meeting called the Safe Spaces Sketch Session. I missed this instant meeting for World Hunger Day while I was taking my break last Spring. But the activities fit in nicely with some of the goals of NSP: Action on Poverty, so the meeting will still be relevant this fall. The instant meeting is designed to get girls thinking about the causes of hunger. 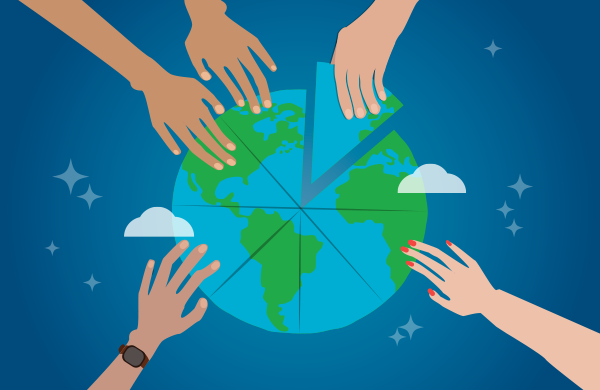 It has an opening and closing activity and 7 other suggested activities to pick from to round out your meeting. I think all the actives look great and I will definitely be using this material at some point during the Guiding year. I would like to draw attention the fact mentioned at the beginning of the Instant meeting “According to Food Banks Canada, about 13 per cent of Canadians struggle with food insecurity and do not have access to adequate amounts of safe, good-quality, nutritious food.” It is more then possible that a girl in your unit is living with food insecurity or has done so in the past. Quebec is a province recognized internationally for some of it’s festivals. 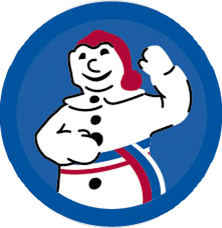 Québec, c’est la fête challenge encourages girls to attend these festivals or reproduce aspects of Quebec’s festivals such as Sugar Shack, Ceinture Fléchée or People Sledding. 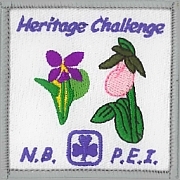 There are four different versions of this crest available with different colour borders so it can be repeated by different branches of Guiding Crests can be ordered from the Quebec Provincial Office. Discover Your Community #4 asks girls to evaluate the accessibility of a public building or your meeting place. I tried to find a good check list on line but I found the ones available were far too detailed and used a lot of language I’m sure most Guide age girls would struggle with. So I made my own list. If you’d like a copy you can get it from my Drop Box. I created this for girls in my unit to do it on their own but it would also be fun to split up in patrols and have each patrol look at a different building. New Brunswick and Prince Edward Island are beautiful and exciting provinces. By completing this challenge you will learn about your province, your community and your family and provincial heritage. You will also be able to share your personal Heritage with others. The challenge is pretty specific to the two Provinces sponsoring it, but many of the activities would be worth while no matter where you live. Elections Canada has a great set of resource available to hold a mock election in which your unit elects a mascot. The Choose a Mascot page includes campaign material for five mascots, ballots and other documents you need to elect your mascot the same way Elections Canada runs a polling station.